Skull Murphy was born in Plymouth, the son of the well established heavyweight star Roy 'Bull' Davis and it was only a matter of time before Skull followed his famous father into the world of professional wrestling. After learning his trade from his father amongst others Skull Murphy made his debut in the mid 1960s as Steve Young, this was a far cry from the man that would later become the rulebending Skull Murphy. The blond haired Steve Young soon became popular with the fans, a skilful technical wrestler who for a youngster starting out in the business was soon opposing such established stars as Colin Joynson, Alan Dennison and Les Kellet as well as teaming with Adrian Street. On joining Joint Promotions Skull (or Steve Young as he was still being billed as at this time) made his television debut on the 20th April 1968 from Wolverhampton against Mike Eagers. This was to be the start of a television career that would last right up until the demise of ITV wrestling in 1988. Skulls televised appearances involved contests against Jim Moser, Marty Jones, Giant Haystacks, Ray Steele, Alan Kilby, Pete Roberts, Gill Singh to name but a few and he soon beame one of the stars of the british ring. 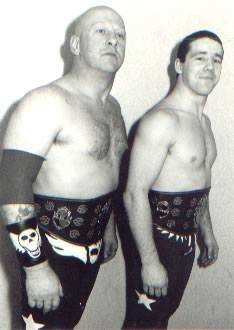 In 1982 Joint Promotions teamed Skull (as he was now being billed as ) with another young fresh faced wrestler from Ireland by the name of Dave 'Fit' Finlay. The team had some memorable matches and became one of the best tag teams of their generation. On the 9th November 1982 Murphy and Finlay defeated the team of Johnny and Peter Wilson at Croydon in the final of the World of Sport Tag team Tournament. The team regularly tagged together until around 1986 when both men then concentrated on their solo careers although on occasions did reform their successful tag team partnership for one off bouts. 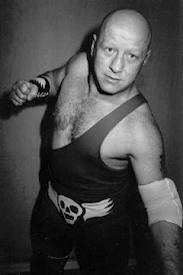 Despite the fact that Skull Murphy was a popular wrestler he rarely had the opportunity to wrestle for championships. However, on the 17th February 1983 Skull faced Marty Jones in a bout held in Leeds for the vacant World Light Heavyweight Championship. Both men had hard fought matches to reach the final and the match was well contested by both opponents. Unfortunately for Skull he was not to be successful on this occasion. It was not to be until the 25th March 1995 in a match held at Norwich that Skull would taste championship glory when he defeated Alan Kilby for the British Light Heavyweight title. Murphy held this championship until September 1995 when in a rematch with Kilby he was to lose the belt to the Sheffield star. Skull soon became a sought after wrestler and he had successful tours of both Germany and Austria where he faced the best wrestlers that not only Europe but the rest of the World had to offer. With the demise of ITV wrestling Skull continued to main event around the UK maintaining his unique style of wrestling usually winning the bout using his famous gaiter hold which he has now become synonyms for. During the last twenty years, Skull has not always been a rulebender and on occasions, albeit very rarely, he has heard the cheers of the crowd rather than the boos that accompanied him to the ring in the early part of his career as Skull Murphy. In 2013 Skull Murphy underwent major surgery to remove a kidney, however, within a matter of weeks was back in action showing no signs of the surgery whatsoever giving a 100% performance as he always has done. 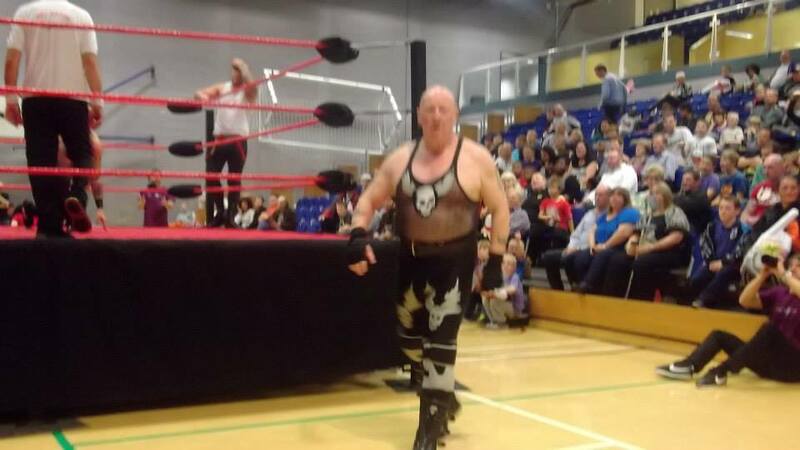 In 2014 Skull Murphy is one of the last wrestlers competing from the glory days of World Sport and British wrestling in general and although his appearances are now drastically reduced he is still well received by the crowd who acknowledges the contribution that he has made to the professional wrestling world. Skull Murphy has always had the respect of his fellow professionals and the fans no matter what his style of wrestling and he is a welcome addition to the Hall of Fame family.